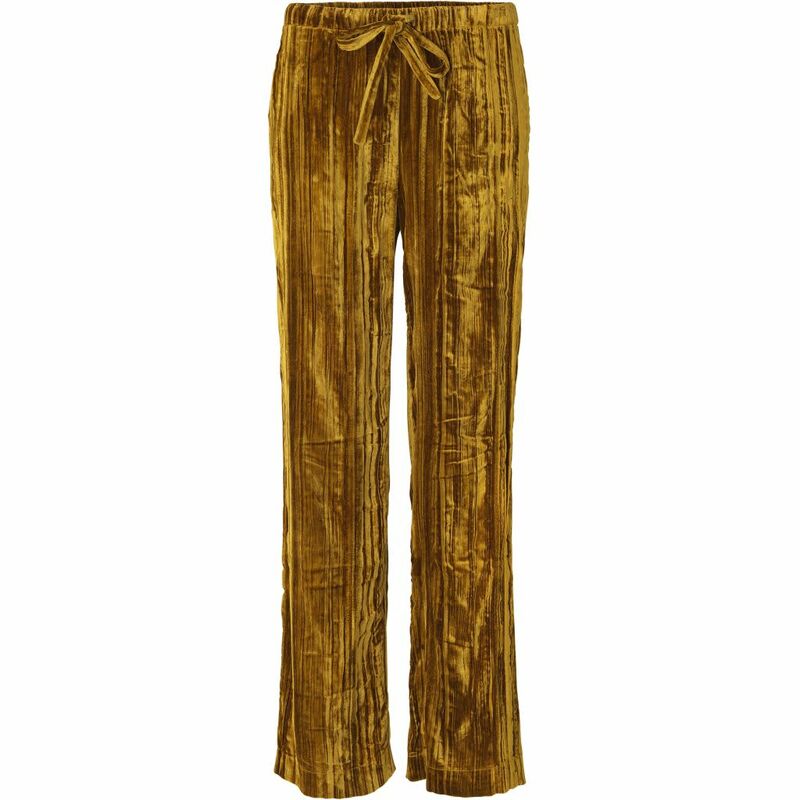 Aileen Pants in Golden Velvet. Cut from a soft velvet material, these pants are designed for a casual fit with wide legs. They have an elasticated waist and drawstring ties. Discreet pockets at side.